If you’re reading this, chances are you’ve probably purchased a used car in the past. Between new drivers just getting on the road and low-credit buyers looking for a cost-effective car to get to and from work, the demand for used cars has always been high – and for good reason. Used cars are less expensive and often just as well outfitted – a fact that’s especially true as new vehicles become more and more complex, pushing slightly older models further down in price and opening up an entire world of vehicle options to used car drivers that may never have been an option otherwise. In the quest to avoid the pains of having to pay for depreciation on new vehicles, used vehicles can be a serious boost – and an excellent option for drivers of all stripes. Whether it’s the extreme value that most used cars represent or the nearly unmatched peace of mind today’s used vehicles offer potential buyers, there’s never been a better time to get going in a great pre-owned vehicle. Here’s a look at some of the biggest benefits of buying used, and why pre-owned may be the best option for drivers looking to save big on high-quality vehicles. For those drivers who’ve taken the plunge and paid a high price for a brand-new vehicle before, the pain of depreciation can feel all too familiar. One minute you’re handing over a down payment on a brand new vehicle, and the next you’re watching the value of your vehicle drop by nearly a third from the very moment you take it off the lot. That’s depreciation or the cost of simply purchasing a vehicle with that “new” designation. 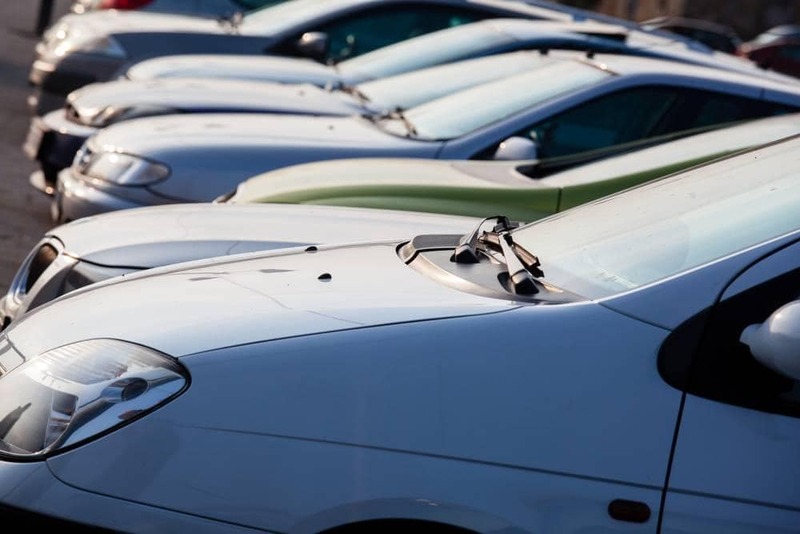 Deprecation can be a major factor in the cost of a new vehicle and yields little to no return for the original buyer when all is said in done. For those looking to save on high-quality vehicles, the cost of depreciation really can be the main source of consternation when it comes time to bring out the checkbook. Depreciation is painful, expensive, and nearly universal for new vehicles – and by choosing to buy used, you can avoid it altogether. When you buy a pre-owned vehicle, you get all the benefits of a quality, reliable vehicle without having to shell out for the fleeting pleasure of being able to call it “new.” Instead, why not avoid the hassle and the extra expense and simply choose a quality, recently-built used vehicle that’s depreciation free and just as capable out on the open road? One of the biggest holdups to buying a used car for any buyer is bound to be a fear about poor selection. In the past, used car buyers often had few good options to choose from, with used car dealers often stocking suspect or less-than-quality options that aren’t quite as reliable as the new vehicle sitting next to it. This has left a bad impression on used car buyers everywhere, and created an almost comically depressing perception of what a used car dealer offers. But the truth is that today’s used car industry is really a buyer’s market, with more recent model years available at excellent prices than ever before. Take a trip to your local used car dealer and you may just be surprised by how many vehicles from just two or three model years prior are available at cut-rate prices. This is due to a few factors; namely, the rate at which manufacturers are pumping out excellent options year after year, as well as the recent popularity of leasing new vehicles, which funnels a greater number of new models into the used car market after only a few years, This means used car buyers can choose quality, low-mileage, modern vehicles at used car prices more commonly than ever, offering you amazing amenities and top-tier features at excellent prices, available just about anywhere quality used vehicles are sold. In times past, the fear and nervousness that came with buying a used car had a lot to do with the possibility of picking up a lemon. These are the used vehicles that seem great at first glance but hide some deeper flaw, which may or may not mean expensive repairs only a few hundred miles down the road. For older used car buyers, the process may still bring up bad memories – but thanks to Certified Pre-Owned vehicles, avoiding a less-than-quality used vehicle is easier and more likely than ever. Certified Pre-Owned vehicles come with the guarantee of the automaker, meaning you can buy with peace of mind knowing your Certified Pre-Owned vehicle is inspected and up-to-snuff from the minute you hit the road. Each Certified Pre-Owned vehicle is thoroughly looked-over by a licensed and certified mechanic, using a comprehensive list of quality checks to make sure your vehicle is covered from every angle. And since Certified Pre-Owned vehicles often include after-market warranties to go with the full inspection, you can drive with confidence knowing you’re fully covered if any issues should arise once you take your vehicle home. Even if you’ve never purchased a Certified Pre-Owned vehicle before, they’re becoming more common than ever, with buyers everywhere looking more and more closely at the benefits offered by manufacturer Certification. Affordable, reliable, and designed with you in mind, Certified Pre-Owned vehicles may just be the best option for getting the vehicle you’re looking for at a price you can agree with. Whether you’re looking for a reliable veteran of the road that can handle rough driving for miles to come or the most recent, well-outfitted used model on the market, buying used is a surefire way to ensure you’re getting a great deal on your next used vehicle. Check out the options at your local used car dealer today and see what’s waiting for those who know where to look.